Water, Tomato Paste, Sugar, Distilled Vinegar, Molasses, Tapioca Dextrin, Salt, Brown Sugar, Spices, Corn Starch, Habanero Peppers, Contains Less than 0.5% of: Onion, Paprika, Garlic, Chili Powder, Natural Smoke Flavor, Citric Acid, Xanthan Gum, Guar Gum, Corn Syrup, Tamarind, Natural Flavors. 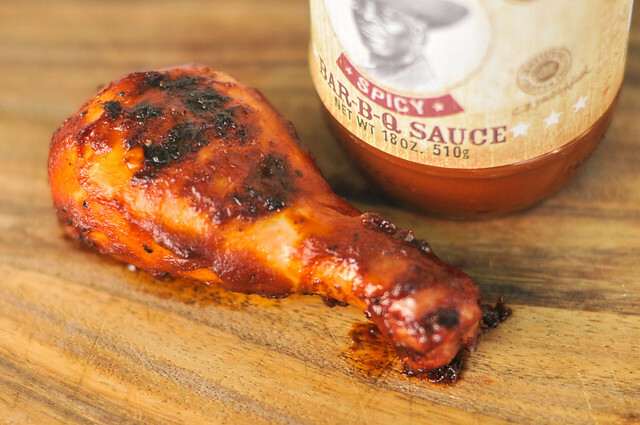 With very little sweetness, Stubb's Spicy Bar-B-Q Sauce features a tart and tangy tomato base with a pleasant kick of heat just at the end. Sometimes I wonder if I'm missing something in a few of these sauces I review that have a die hard following, but I think just aren't that great. Most reviews I stand by completely, but I started to question my initial take on Stubb's after my colleagues at Serious Eats gave it some love. Being on my to-do list for a long time, I finally took the plunge and tried it out again, but opting for the spicy version this time. For those unfamiliar with the Stubb's story, it starts in 1968 in Lubbock, Texas when Christopher B. "Stubb" Stubblefield opened a barbecue and live music joint. In 1980, Stubb's relocated to where it is today in Austin. 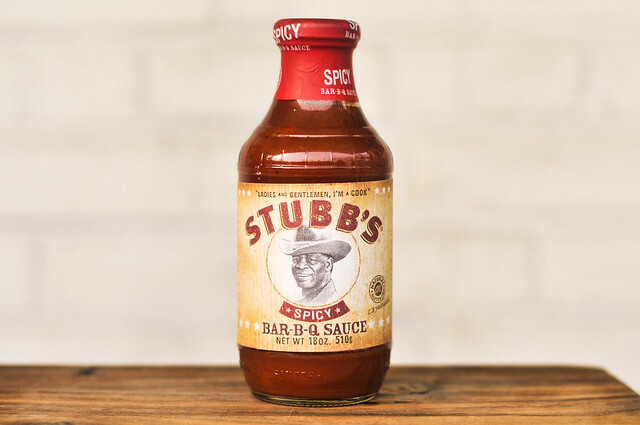 The Stubb's name and brand took off after an appearance on Late Night with David Letterman in 1995, and while Stubb is no longer with us, his legacy lives on through his restaurant, six sauces, six marinades, and five rubs. 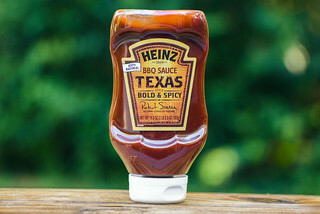 Stubb's Spicy has an uncomplicated aroma of tomato with a slightly sharp vinegar tang. There's a faint smokiness, along with notes of garlic and onion, but it's mainly simple and easy on the nose. 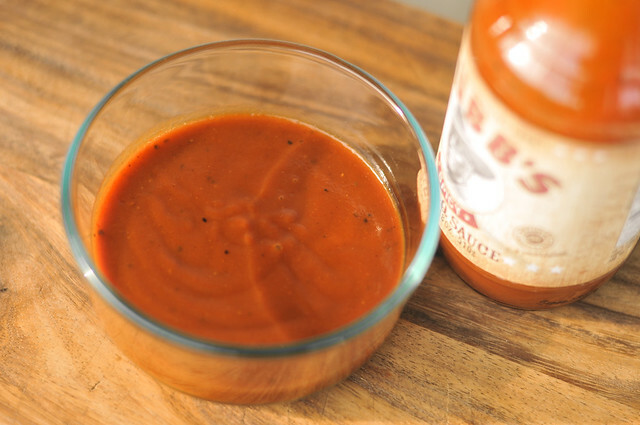 This opaque sauce has a rusty orange hue with just a few specs of black pepper visible in the way of spices. It's smooth and hits exactly in the middle of thickness scale. From a suspended spoon, it first falls in one glob followed by a quick and steady stream, ending in a few final drips and leaving a thick coating of sauce clinging. This sauce starts off with little flavor at all. As it settles on the tongue, a faint sweetness and tomato flavor begins to come out. Vinegar ramps up and first finds a balance with the acidic tomato, but then fully dominates. 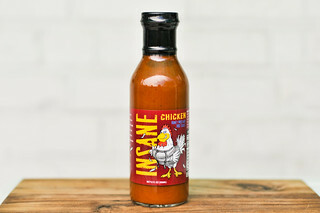 Just as the tongue starts to tingle from the immense vinegar, the heat makes an appearance in the form of habanero and black pepper. The burn is mild, which allows for the flavor of the peppers to come through. The sauce coated the chicken lightly, but baked in well. There was some burning over direct heat, but nothing major, not enough to kill the chicken. The overall flavor of the sauce was more mild than out of the jar, with a simple tomato tang. There was also notes of mustard I didn't pick up on originally. The heat was a bit diminished, leaving only a slight spice that I couldn't describe as "hot," but did give the chicken some character. I'm trying hard to like this sauce, but I still can't say its up in the higher echelons of greatness. 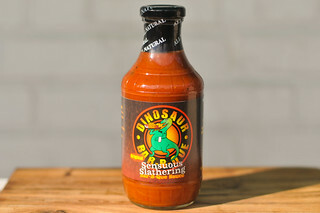 While the heat of this spicy version improved the flavor for me compared to the original, there was a slightly chemical and off-putting aftertaste both out of the jar and after being cooked. That being said, looking back at everything I've reviewed, this deserves more of an average or slightly above average rating for its good balance of flavor, even if it's not the most exciting sauce on the planet. I liked how the sauce functioned better as dip or condiment—having more flavor and heat out of the jar than after being cooked. The defining tart and spicy characteristics would pair best with beef, and I could see this going well with slices of brisket or smoked short ribs.